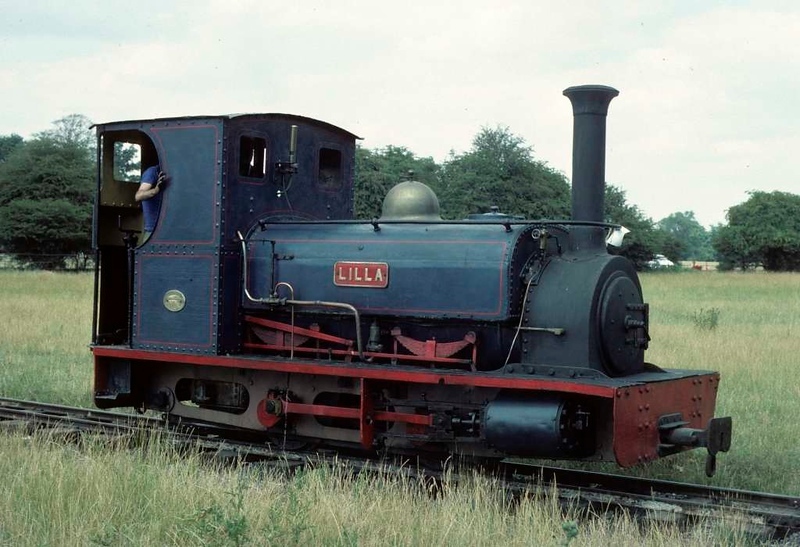 Lilla, Knebworth Park & Wintergreen Railway, 25 July 1976 1. Hunslet 0-4-0ST 554 / 1891. At the time of this photo the former Penrhyn quarry loco was on loan to Pleasurerail from J B Latham. It subsequently moved to the Ffestiniog Railway where it remains in 2018. Photo by Les Tindall.